Our Interpretive Program is from late October through early May. Preregistration is required. 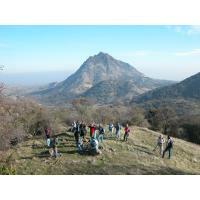 Middle Mountain Interpretive Hikes is an evolution of the interpretive program begun by Walt and Rebecca Anderson in 1976. 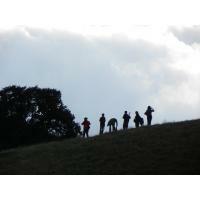 It has gone through many organizers, many directors, and many name changes to become the program that we offer today. 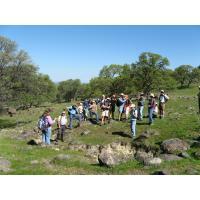 Middle Mountain Interpretive Hikes offers guided interpretive outings on several properties in the interior of the Sutter Buttes. These outings are held from late October through mid-May. They are posted on this website in early October for the Fall Season and early February for the Spring. Outings are $35 per person unless otherwise stated in the description. To sign up, email or call 530-671-6116 and leave a message. 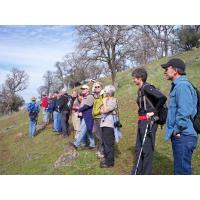 The public now has access to private lands within the Buttes in a controlled manner that protects the flora and fauna, provides economic compensation for the landowners while relieving them of legal liabilities, and facilitates educational activities and scientific research in the Sutter Buttes. 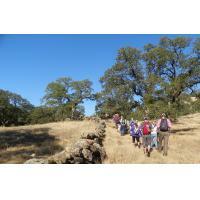 This is the program that Middle Mountain Interpretive Hikes carries on today. Our success depends upon a positive spirit of constructive collaboration. In seeking a way for the public interest and private land to converge for the benefit of all, we have always favored inclusiveness: the bringing together private landowners with scientists, educators, students, artists, and photographers, and anyone who loves a natural environment. Our common ground is the Sutter Buttes and our heritage. 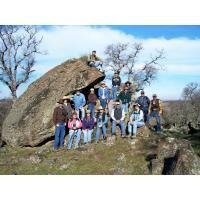 The Community Memorial Museum of Sutter County has a wealth of information about the Sutter Buttes, as well as a relief map which allows close study of the peaks and valleys. The Museum is located at 1333 Butte House Road in Yuba City.